Any seasoned hunter can tell you that pre-season preparation can make all the difference when deer hunting. Even though it’s not hunting season yet, doesn’t mean you can’t take some important measures to make your hunting season is the most successful. The summer months are ideal times to prepare for hunting season, as you have natural sunlight and ideal weather to sharpen you skills. Let’s take a look at 5 of the most essential pre-season hunting tips. As mentioned above, summer time offers ideal lighting and weather to practice with your weapon of choice. Whether a crossbow or a rifle, spend some time at the shooting range to practice using your weapon. Take time to repair and keep your weapon in top shape in anticipation for hunting season. Plus, this off-time during the Summer can be the best time to find a new or more effective weapon. Get to know your hunting area well. Even though the weather conditions may be much different, knowing your land well can make all the difference during hunting season. Scout out your hunting spot and take note of the surroundings. Install game cameras if you can, so you can monitor you game during the off-season. Find ideal spots to set up your blinds and deer feeders to ensure an eventful season. When scouting your hunting spot, look over the mast of natural food sources that deer will be feeding on, so you can locate where your deer will most likely roam. 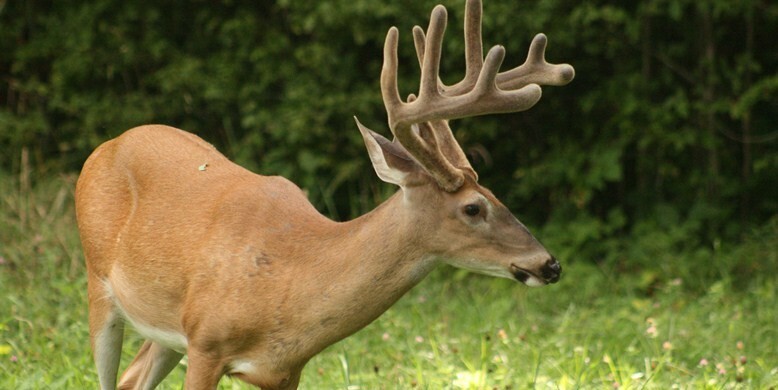 If you plan to feed your herd, locate the ideal open clearing to set up your deer feeder. Once you’ve settled on a spot and have your feeder in place, schedule regular, consistent feedings throughout the pre-season months to get the most out of your deer. Summer is not the time to get lazy! Keeping in good shape will be the best way to make sure you have the best hunting season. Hunters need to keep up with the deer. Even though modern technology has helped us, it doesn’t mean we don’t need to stay in peak physical condition. Of course, you should retreat to your cozy man cave after all that hard work , our friends did the foundation repair and ensured that it was warm and dry there for many season to come. If you’re in an unbroken forest, create new bedding areas where deer can gather. The area doesn’t have to big huge, but a good 40-60 yard area in an ideal location of your hunting spot can easily create the best environment for hunting season. Grab some buddies and create a clearing in your hunting area. If you can find ideal spots to place your feeders and blinds to make the most effective strategy for hunting season. It’s all about using the land to your advantage. Preparing for hunting season? Visit Sweeney Feeders for the best selection of durable automatic deer & wildlife feeders.